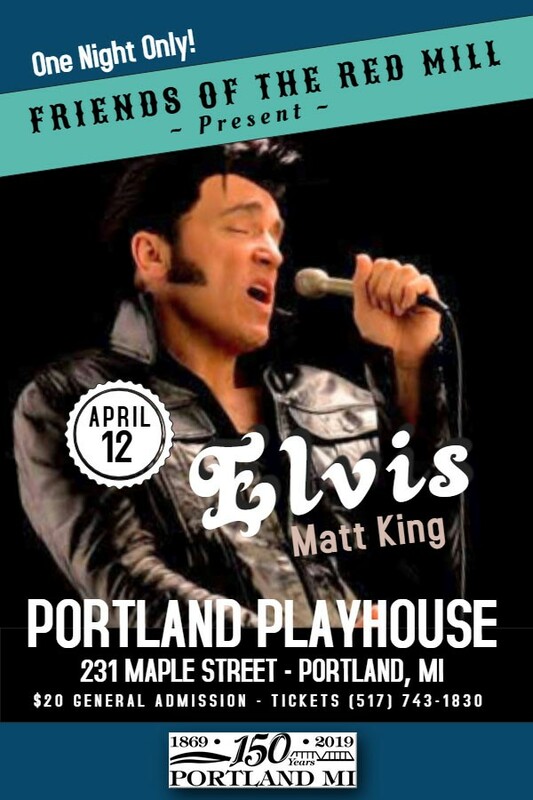 Friends of the Red Mill will help celebrate Portland's 150th by hosting ELVIS on April 12 at the Portland Playhouse. Matt King as Elvis will be entertaining us with all the popular hits!! Matt has been performing his tribute to Elvis since 1992 at the age of 14. He has traveled all over the world and is renowned as one of the best voices in the business. He has the look, he has the sound, and he pays tribute to the greatest entertainer of our century! Friday, April 12, 2019 at 7:00 p.m. First Come First Served with doors opening at 6:00 p.m.